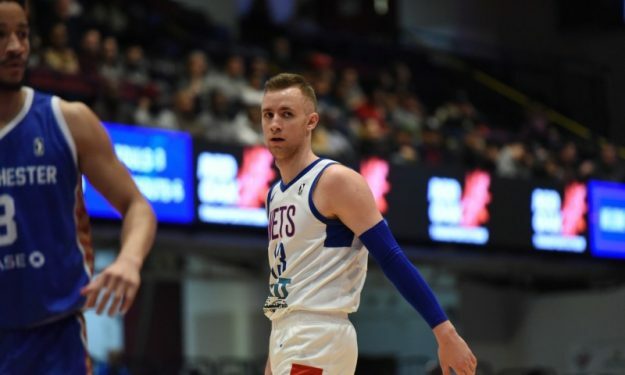 Dzanan Musa is proving his case with consecutive impressive G League performances for the Long Island Nets. He was the 29th pick of the previous NBA Draft, but Dzanan Musa has only played in eight Regular Season games with the Brooklyn Nets. His recent shoulder injury certainly didn’t ameliorate his situation. However, he’s getting back on track through the G League. The 19-year-old Bosnian swingman averaged 22.3 points this week including his G League career-high 30 points on Sunday. He got first place honors in Eurohoops’ Weekly European G League Report, but the Long Island Nets suffered three losses. Belgians Manu Lecomte and Retin Obasohan followed in second and third place. Isaac Bonga was the fourth European player with over 20 points per match, but only played once this week.